February is Heart Health Month, and no better time to make sure yours is as healthy as possible. 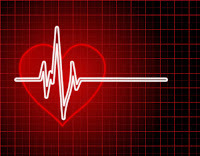 Heart disease is the number one cause of death in America, making heart health a serious matter! Men, women and even children can suffer from a range of heart conditions. The heart is the core of the circulatory system and obviously a driving force in keeping us alive. As strong as the heart must be, it can be so easy to weaken it. The best way to protect your heart includes regular visits to the doctor (yearly), cardiovascular activities to keep the heart working at its best (walking, running, even jumping jacks in front of the TV if you must!) and of course, eating right. Apples, breads and pastas in moderation, and controlled amounts of red meat are important in keeping your heart healthy.